Dr. Yvonne Weber DPM is a board certified podiatric surgeon, specializing in foot surgery and sports medicine. Dr. Weber is a fellow of the American College of Foot and Ankle surgeons and a Diplomat of the American Board of Podiatric Surgery. She has been practicing in Boulder, Colorado since 1994. 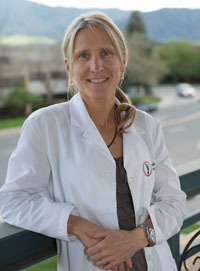 After many years of practice in a very active community and being quite active herself, Dr. Weber has extensive experience in sports medicine for both adults and children, including both acute and chronic injuries, Her practice covers a range of podiatric conditions from nail deformities, skin conditions, to foot deformities, tendon injuries, fractures, to prescription orthotics. She has participated in many community boards and associations over the years including 8 years with the Colorado state regulations board, serving as vice president for 4 yrs. Dr. Christina Weber DPM is board certified in foot surgery with extensive experience and training in podiatric medicine and surgery. 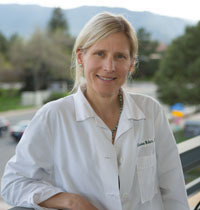 She has been practicing Colorado since 1994 and her practice specialties include sports medicine, podiatric dermatology, geriatric foot and ankle conditions, pediatric issues, orthotics and foot surgery. Her great interest in outdoor sports and passion for the mountains then brought her to Colorado. She initially began practice in Durango, Colorado then moved to the Front Range to practice with her twin sister in Boulder. Her husband, two daughters and rescued dogs enjoy living in Boulder, Colorado and participate in many outdoor sporting activities. She is an avid mountain and road cyclist, Nordic skier, runner and is a member of the Boulder Nordic Club.